The Lurking Fear is named after a story by HP Lovecraft, whose supernatural horror themes capture the spirit of this album. The space-age horror concept runs throughout, from the ominous swirling black hole on the cover, to the Lovecraftian lyrics, to the musical motifs and effects. Tomas’ voice sounds genuinely terrified as he screams of being devoured from the inside by alien insects from the vortex of hell. The album begins with a short cinematic intro that sounds like a creaky coffin or echoing castle, before launching into the frantic terror of ‘Vortex Spawn’. Horror sound-effects are used several times, for example the coffin sound and clanging bells of ‘The Infernal Dread’, but it is with the musical motifs that this album achieves its overriding sense of unnerving disorientation. Breaks are discordant, riffs are unsettling, melodies are portentous, leaning on Phrygian intervals and tritones. Much of recent outer-space-themed metal has been very technical and polished (for example DragonForce, reviewed here) so it’s refreshing to have grime and grit brought back to the cosmos. The Lurking Fear cite Possessed, Autopsy, early Death and Slayer as their most important influences, and this album places them firmly amongst the scariest of death metal bands. 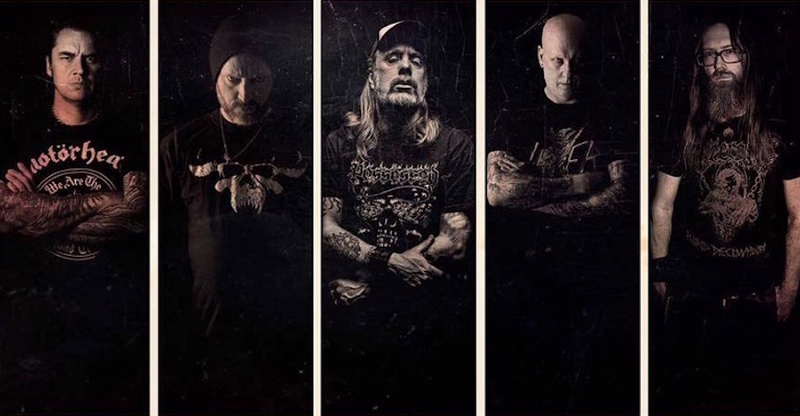 ‘Out of the Voiceless Grave’ is ‘old-school’ death metal in the sense of being honest and from the heart, rather than old-fashioned or throw-back. At the Gates have never played the glossiest melodic death, and in this album Tomas and Adrian take their inherent grittiness much further. 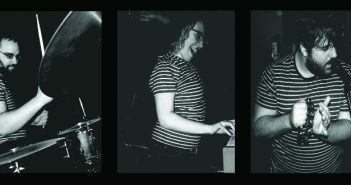 Guitarist Fredi and bassist Andreas are used to playing crust punk and d-beat, and this is reflected in the guitar tone which veers towards the ‘buzz-saw’ end of the spectrum. The crust punk and d-beat influences are there throughout; for example there’s a punk vibe to the riffs and off-beat drumming in ‘The Starving Gods of Old’. But it’s not all pounding punk ‘n’ death metal; the pace changes – essential for creating atmosphere in death metal – are particularly effective in this album. Frantic death metal riffs are contrasted with wonderful doom sections which create a sense of foreboding. Despite the rawness, it is the melodic death elements that give this album beauty to balance the discord and dirt, and make it truly esoteric. There’s an unmistakeable melodeath energy to the riffs in ‘With Death Engraved In Their Bones’ and ‘The Infernal Dread’, and some lovely high register guitar melodies in ‘Teeth of The Dark Plains’, which also has a fantastically old-school solo. Keyboard and piano elements are introduced but very sparingly, only when required to create an effect. There are also some very satisfying thrash references; for example the relentless rhythms of ‘Winged Death’ and supremely confident tremolo picking of ‘The Infernal Dread’. The album ends on ‘Beneath Menacing Sands’ with a Psycho-like fade of discordant repeated notes, leaving the listener deeply unsettled. 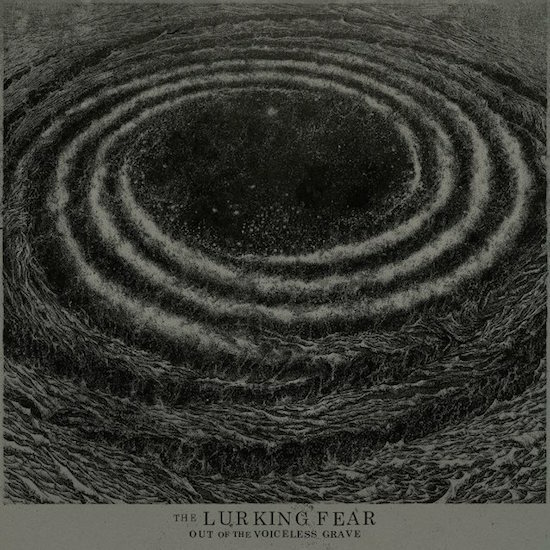 While The Lurking Fear are not exactly reinventing the wheel with this album, this was not their intention; indeed, they are proud of their influences, and part of the enjoyment is spotting the references to Morbid Angel, Slayer, and so on. In any case, they have achieved a sound which is their own and undoubtedly achieve what it sets out to do – raw, dirty death metal terror- all within a very palatable forty minutes. There’s not a weak track on the album, but for me nothing beats the terror of first single ‘Vortex Spawn’. I’m a huge melodeath fan as long as it’s not too polished, so I was excited to hear this new project and it certainly did not disappoint. It remains to be seen whether The Lurking Fear will develop into a longer-term phenomenon, but this album definitely stands alone as something special.